I got your email address from Insulin-Pumpers.org and hoped you can help me with an answer as to the current action of Medicare forcing people to use Humalog instead of NovoLog. Medicare has refused to pay for the NovoLog and I am allergic to Humalog. I was told you might have some useful tips to change their mind since being allergic to Humalog is not dire enough. You can most definitely appeal the Medicare policy on the insulin brand coverage. If using the insulin that is covered by Medicare has a contraindication, adversely affecting your health, they will need to reconsider their position with you. This is how I would move forward. Contact your prescribing doctor and request that they submit a reconsideration letter to Medicare by faxing it in with the proper coding; stating you are allergic to Humalog and NovoLog coverage is medically necessary for you. It usually takes Medicare 30 to 60 days to reconsider an appeal. In your case this can be expedited to 3 days because your daily insulin is medically necessary. If this is an option for you, pay out of pocket now for NovoLog and ask Medicare to reimburse you at a later date. But make sure the doctor’s pharmacy prescription states the same thing. You are allegoric to Humalog and must use NovoLog. This is good information for people with and without diabetes. I would ask your doctor to give you a copy of the reconsideration letter for Medicare with the coding they use. Let us know what the code your doctor is using so we can start an insurance appeals section on diabeteshealth.com. Most insurance companies follow the Medicare protocol when it comes to reimbursement. I am happy to create an archive page for you and everyone else that might need this information in the future as a reference. If you would like to explore the different financial assisatnce programs from the medication and device companies, You can access the Diabetes Health “Free Diabetes Supplies and How to Apply for Them Guide” by clicking on this link. 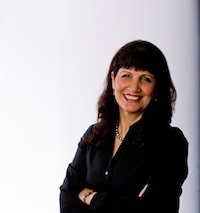 If you would like to pre-order my new book “Sugar Happy- Your Diabetes Health Guide in Achieving Your Best Blood Sugars and Letting Go of Your Diabetes Complication Fears” launched on April 6th and pre-orders ranked #7 on the Kindle top 100 new releases. 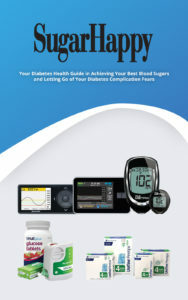 This book is for both Type 1 and Type 2 people living with diabetes. It is meant to be a guide, allowing you to look up the topic of interest. For a limited time before the June 18 th release, I am offering the Kindle version for 99 cents.